Taste & See photos courtesy of Innocent Coffee. 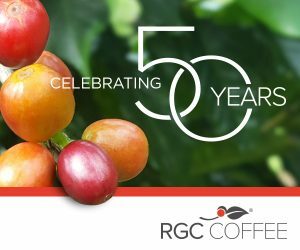 Collaborations between coffee-related companies are everywhere and take many forms, but rarely do coffee retailers forge long-term, permanent collaborations under a single roof. 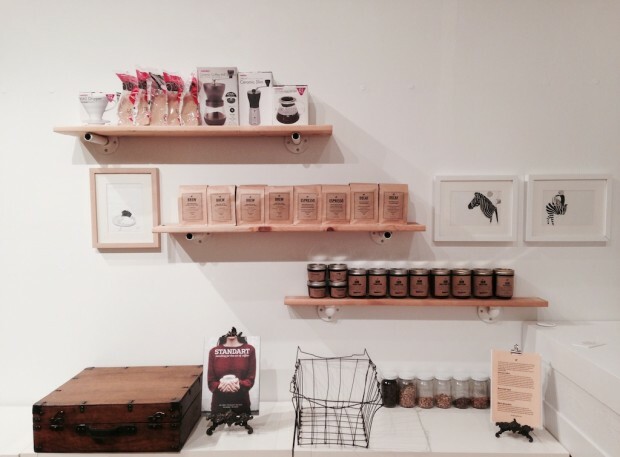 Yet at the newly opened Taste & See Shop in Vancouver BC, patrons can enjoy brews prepared and served either by Innocent Coffee during the day, Monday through Friday, or by Moving Coffee, evenings and weekends. 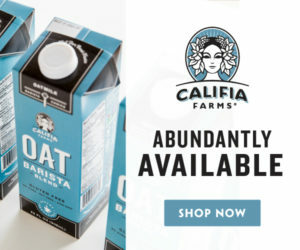 These are two totally independent coffee businesses, switching off behind the counter, and no matter how much these two entities overlap, physically or by their offerings, there are no current plans to meld the two into one. The 230-square-foot shop has a bench and seating for about 4-6 people to rest and enjoy their coffee, and the sidewalk outside is wide enough to potentially accommodate a few more seats, but for the most part it’s a standing-room retail space and resource for grab-and-go brews. Nearby offices and mixed commercial/residential buildings send a good flow of foot traffic by the shop, which also retains some of the patronage from the original Innocent shop that was only a few blocks away. Innocent Coffee had occupied its previous spot for the past five years, yet when the lease expired and the rent rose, it was time for the establishment to find a new home. Meanwhile the Moving Coffee QC consultancy was also in search of a permanent retail outpost, and so these two entities partnered up. 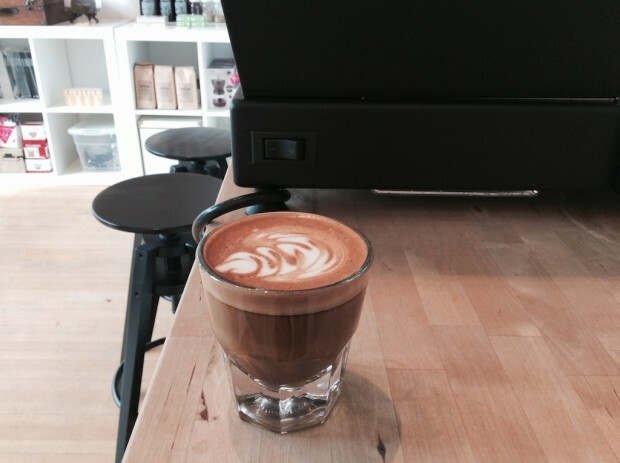 Innocent serves coffees roasted by the Granville Island-based Origins Organic coffee company, while Moving takes more of a multiroaster approach, rotating among various Canadian and US roasters. 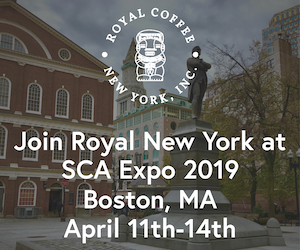 Moving Coffee was founded in 2012 by certified Q-grader Edmond Keung, who is also an SCAA/E Certified Barista. Keung judged the Hong Kong Barista Championship in 2011, and the World Brewers Cup in 2012 and 2013. 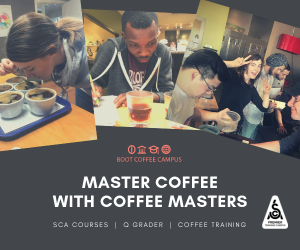 Today, Moving offers a range of professional instruction including barista skills, cupping, tasting, and more. 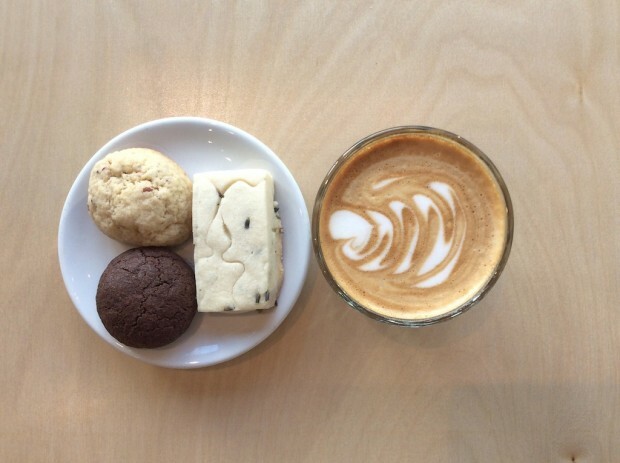 While Keung is dedicated to “Moving” specialty coffee forward, Innocent is more interested in retail and the arts. 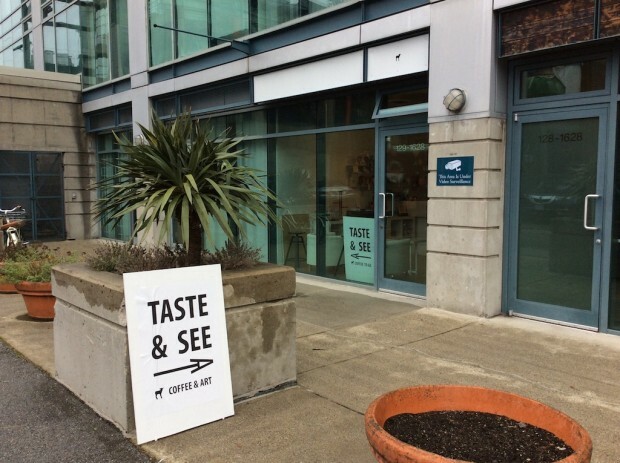 The Taste and See Shop, true to its name, pairs coffees and locally-made pastries with artwork on display and for sale, along with magazines and new coffee equipment such as Hario and Kono pourover cones and hand-grinders. The retail and artwork fall under Innocent’s purview. Time permitting, the Innocent crew will even prepare coffee for customers using the small, travel-friendly hand-grinders to demonstrate their performance. Of course, there’s also a Mahlkonig electric grinder on hand — Moving Coffee uses a Fuji Royal — and a Linea Mini paired with a Compak espresso grinder. In the old location, Innocent operated with a full-size two-group Linea, but fell back on a GS3 when the Linea was being serviced. “When we moved to the new location, we thought we’d need something more compact,” said Lin. 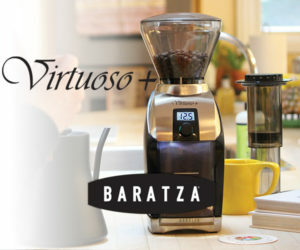 The Mini’s market position as a high-end home machine also jibes with the culture of the shop’s grinders and drippers as another example of how great coffee can be made at home.